You didn't think we were going to have an Electrical Safety Month without a cameo from Burnie & Les, did you? After so many arc flash incidents with our clumsy pal, Burnie; Les made it his life goal to find a better and safer method of performing Lockout/Tagout (LOTO) procedures, routine maintenance, and troubleshooting. The result was the Voltage Test Station (VTS). This Permanent Electrical Safety Device (PESD) provides a visual representation of energy using the voltage indicator's LED lights combined with the ability to measure voltage presence or absence via the test points. Both components are conveniently placed within a UL rated protective housing. 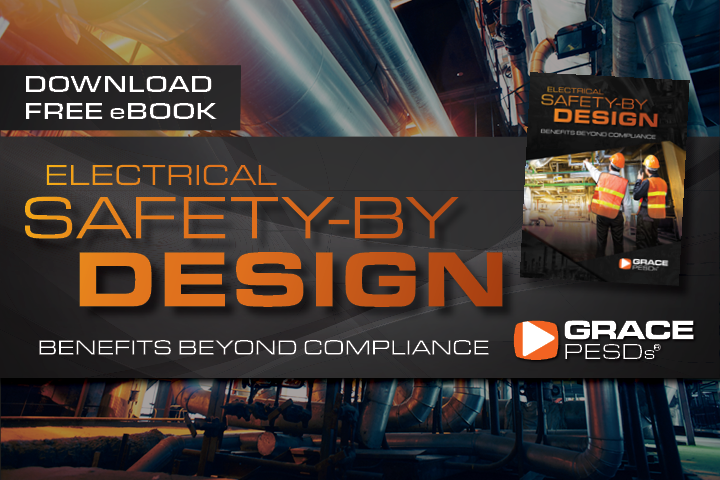 Download the GracePESDs® eBook to learn the benefits beyond compliance of electrical safety and how fostering a safety culture affects the bottom line.